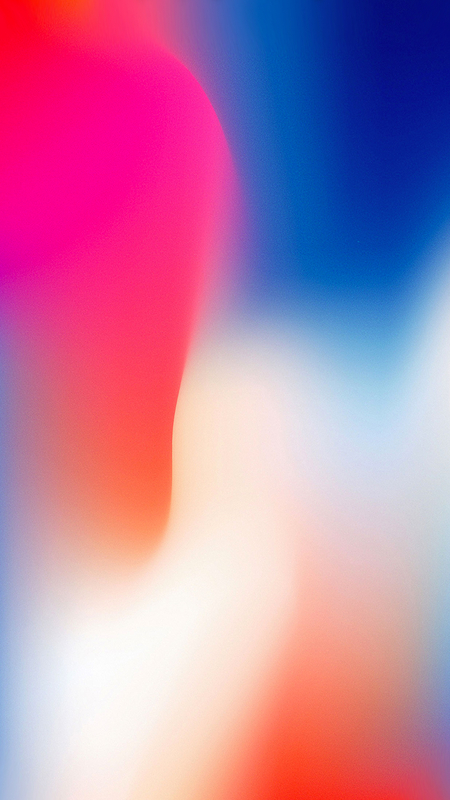 There are two things I’d venture to say that worry me as an iPhone XS Max owners, and that’s cracking my new iPhone’s screen, and straining my eyes while reading said screen. 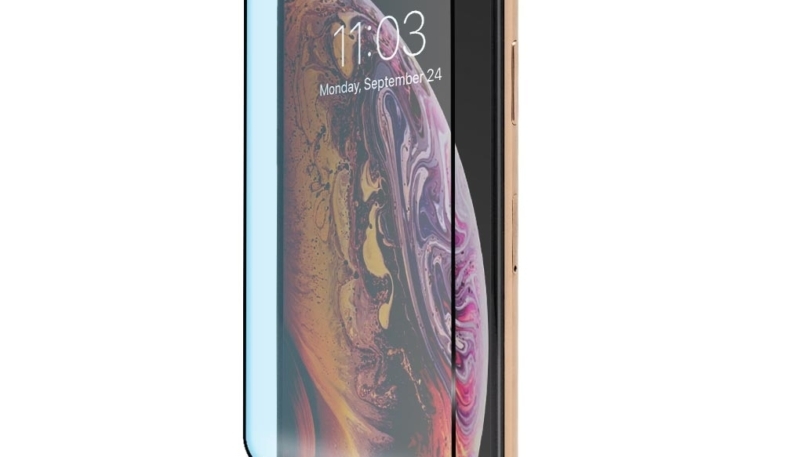 Luckily, there is a way to protect both my eyes and my iPhone XS Max’s screen. 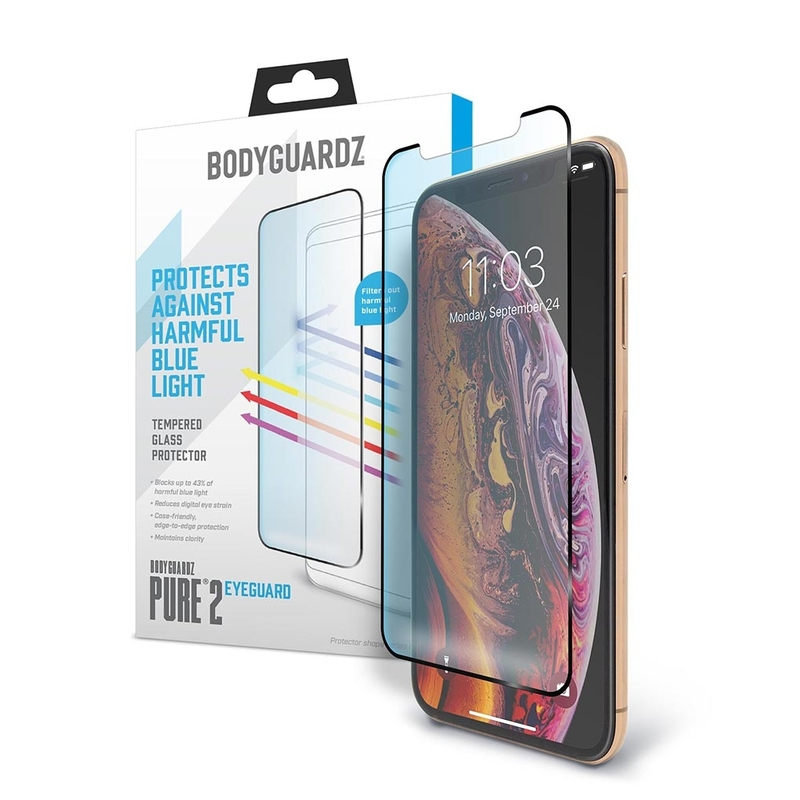 The BodyGuardz Pure 2 EyeGuard Glass Screen Protector for iPhone XS Max offers full protection for your device’s all-glass front screen. In addition to protecting the glass, the Pure 2 EyeGuard also protects your eyes, by filtering out blue light. According to the journal Scientific Reports, blue light may speed up the process of macular degeneration, the leading cause of blindness in the United States. Blue light turns certain molecules in the eye into “cell killers” which damage the photoreceptor cells we need for vision. 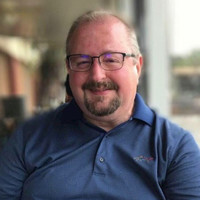 Pure 2 EyeGuard for iPhone Xs Max filters out up to 43% of harmful blue light–protecting eyes from digital eye strain and safeguarding devices from drops. The Pure 2 EyeGuard also protects the screen from damage by drops, offering all around protection for both you and your device. BodyGuardz was kind enough to send us a sample of the protector. My wife and I both have new iPhone XS Max devices. Since she owns a cleaning business and I sit at a desk all day, we decided to install it on her device, as she puts her iPhones through much more torture than I do. While I usually install glass protectors for her as she has an issue getting them on straight, when we noticed the Pure 2 EyeGuard includes an installation frame to slip over the iPhone to act as a guide to install the protector. I have to say, the guide worked just as intended, as she had the protector installed in under a minute, and that included cleaning the glass first. Every iPhone glass protector should include a guide. My wife has had the BodyGuardz Pure 2 EyeGuard Glass Screen Protector on her iPhone XS Max for over a week now, and she loves it. There are no bubbles like you see on some protectors, and she reports her eyes feel less strained after looking at it all day. She also uses a case to protect the back of her iPhone, and the Pure 2 EyeGuard doesn’t interfere at all with the case’s fit. I will admit the BodyGuardz Pure 2 EyeGuard’s price could be a bit of a shock for some, as it will run you a cool $49.95, which is definitely more expensive than many competitors. However, considering the protector offers free lifetime replacements, the price could average out to about even. The BodyGuardz Pure 2 EyeGuard Glass Screen Protector retails for $49.95, and is available at the BodyGuardz website. It is also available for $44.95 with free Prime shipping at Amazon. Disclosure: I was provided the BodyGuardz Pure 2 EyeGuard Glass Screen Protector, free of charge, to review. All opinions expressed are strictly my own, based on my experience with the product.